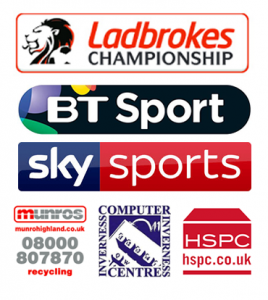 Inverness Caledonian Thistle FC are delighted to confirm their continued partnership with their three main sponsors. Solicitors & Estate Agents McEwan Fraser Legal have put pen to paper on a contract extension for a third year to have their logo on the front of the home and away kits for season 2018/19. At the same time, Korrie Plumbing and Subway have extended their agreements with the club to have their logos on the back of the home and away kits next season.